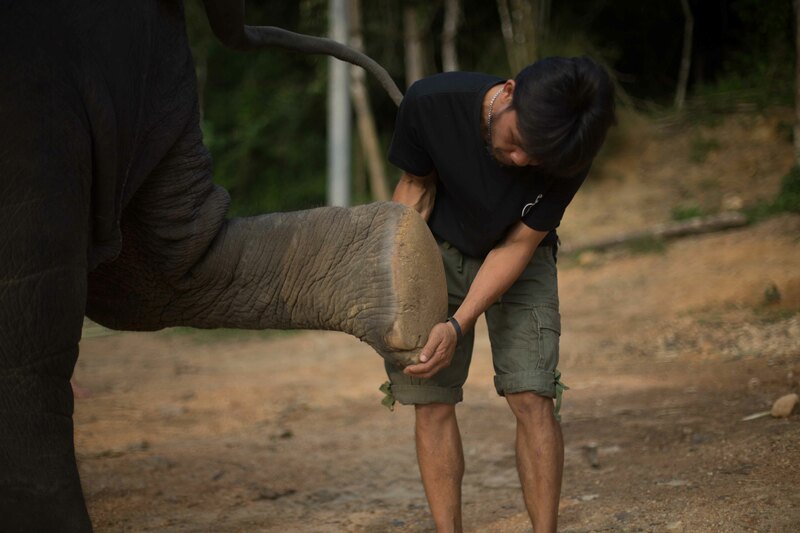 Learn about the mahout’s (elephant handler’s) daily routine as you watch a demonstration of an elephant health check. 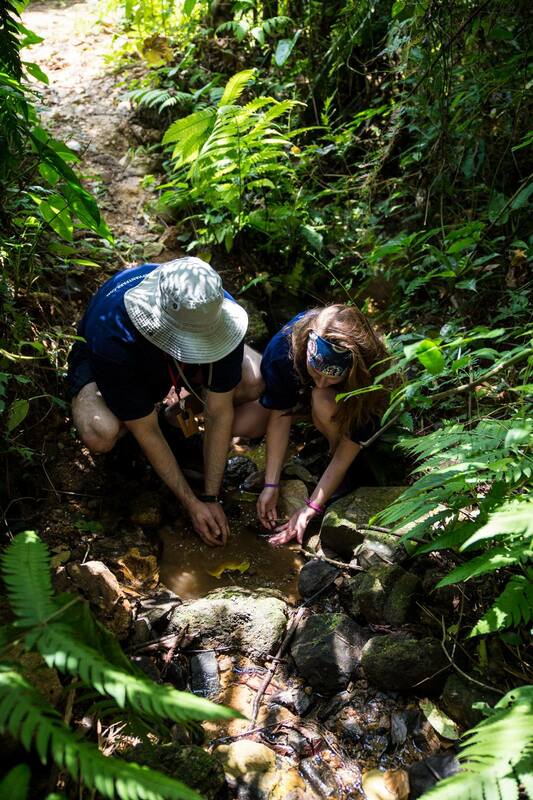 Enjoy exploring the jungle alongside your gentle giant, prepare her food while she rests, and then feed her surrounded by amazing hillside jungle scenery. Back at the Park, you can follow the ancient tradition of scrubbing your elephant with a piece of vine harvested from a special tree that is used to care for her skin. After you (and your elephant) have fun bathing in our rock pool, you will be offered a delicious, freshly-cooked, traditional Thai lunch. You will then be asked to help plant food for the elephants as part of our conservation programme. Before your experience ends, you will get the opportunity to meet our baby elephant. Morning and afternoon programmes are available. For the morning, you will arrive at the Park at approximately 9.30 am. For the afternoon visit, the arrival time is approximately 12.30 pm. 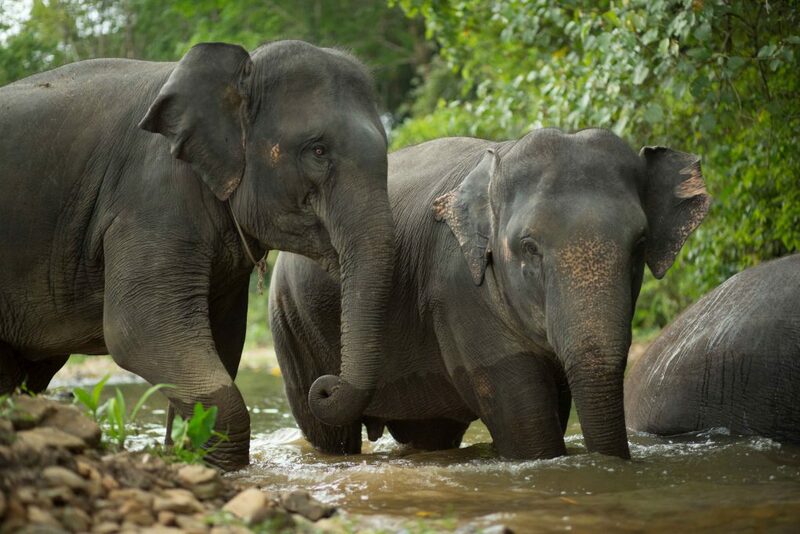 In total, you will spend 4 hours at Phang Nga Elephant Park (scroll down for full itinerary). Please note: Children under the age of 7 are not permitted to participate in this programme for safety reasons. Instead, please consider our Family Elephant Experience. Transfers are included from Khao Lak, Phang Nga, Phuket, Krabi, Ao-Nang and Khao Sok. A 25% deposit will be taken when you book. The balance must be paid in cash at the Park. Supplement for a single person booking: 1,500THB. If you require to be dropped off at a different location to your pick-up point, this will cost an extra 2,500THB (for up to a maximum of 5 people). Hotel pick-up in air-conditioned transport. Please note that pick-up times do vary dependant on your location. 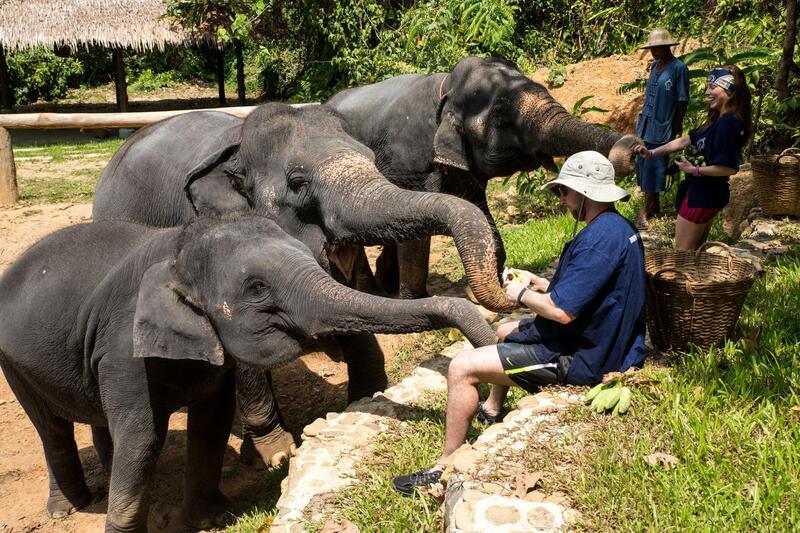 On arrival at Phang Nga Elephant Park, you will meet your guide and receive our refreshing signature welcome drink. Your guide will explain the history and life of the Asian elephant as well as provide information about our Park. 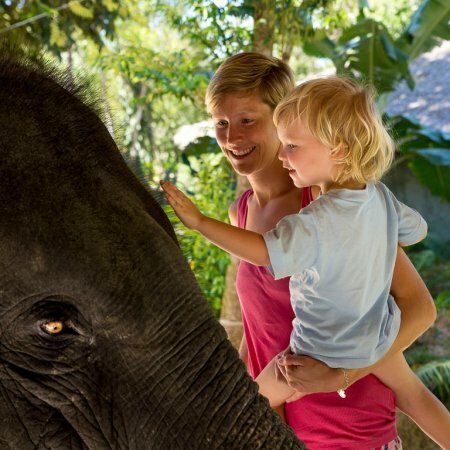 You will be shown how to approach and direct your elephant, and we will tell you all you need to know about the experience, including an important safety briefing. You will be provided with a mahout outfit to change into before meeting your elephant and can wear this for the duration of your experience. Next you will watch a demonstration of an elephant health check and will gain an insight into the mahout’s daily routine. 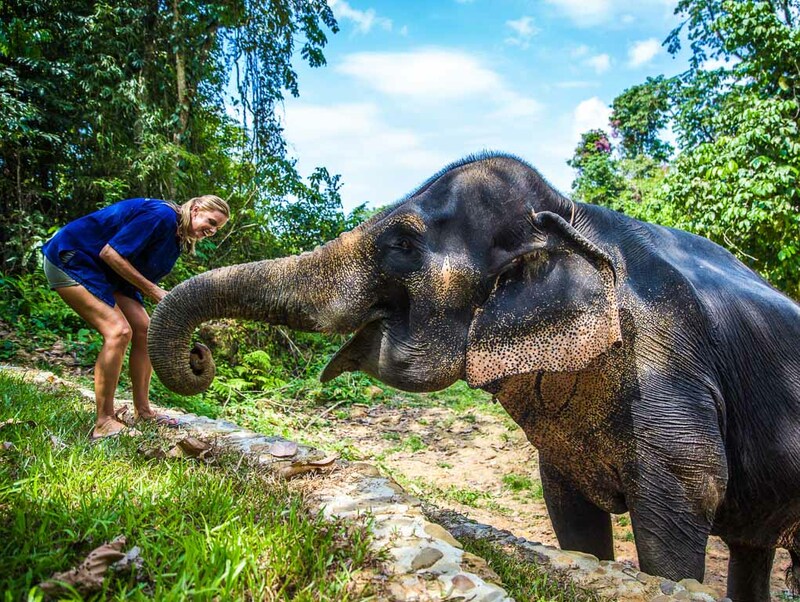 You will meet your elephant and accompany her as you explore the jungle. 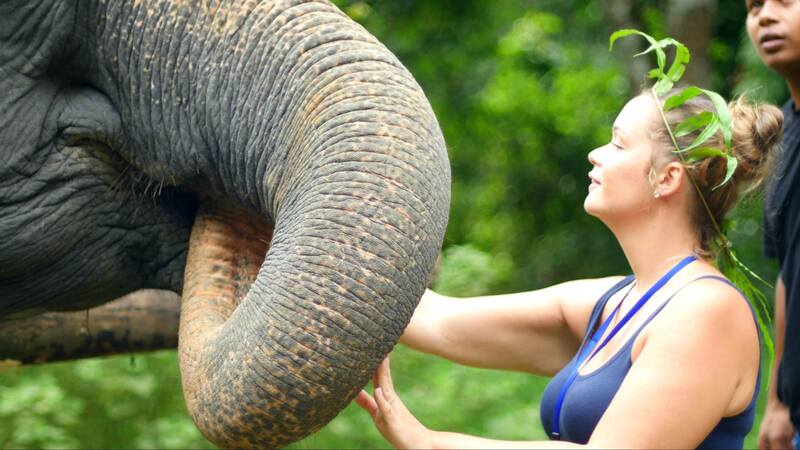 You will be given the option to ride your elephant bare-back or to walk alongside her. As your elephant takes some time to rest, you will be able to prepare food for her and then feed her amidst glorious jungle surroundings. You will then accompany your elephant back to the Park, where you will care for her skin by scrubbing her with a piece of vine harvested from a special tree that is used to care for her skin. 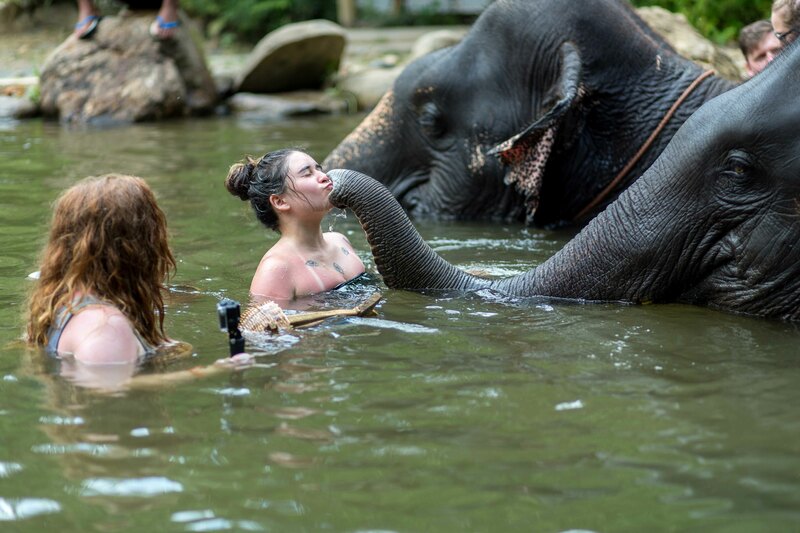 Next you will be able to have fun bathing with your elephant as you splash together and continue bonding with her. After you have showered and changed, we will offer you a traditional Thai lunch, followed by fresh fruit and refreshments. Please note: if you are participating in the afternoon programme, you begin your visit with our traditional Thai lunch. You will have time to relax, take photos, visit our souvenir shop and Education Centre, and you will end your experience by meeting our baby elephant. Finally, you will help to plant food for the elephants as part of our conservation programme. Camera, sun lotion, insect repellent, sunglasses, sun hat, waterproof clothing (depending on the forecast), trainers and swimwear (for bathing with your elephant). Change of clothes and towel if you would like to shower after your elephant experience. No-show and cancellations within 48 hours of the scheduled tour date are non-refundable. A fee of 3.9% will be deducted from all refunds made to credit card payments. We provide full accident insurance for our clients. All guests must be aware that the experience involves adventure activities and take part in this tour at their own risk. We are required to ask you to sign a form on arrival to say that you understand this. All guests participating in a tour at Phang Nga Elephant Park are strongly advised to take out their own personal travel insurance to cover loss or damage to property, illness, injury, or not being able to travel on the confirmed date of the tour. We are not responsible for any loss or damage to visitors’ personal belongings while at Phang Nga Elephant Park. The above itineraries are examples of the activities that usually take place on the tours. The order of activities varies. All tour itineraries are subject to a certain amount of variation due to the weather and local conditions on the day of the tour.